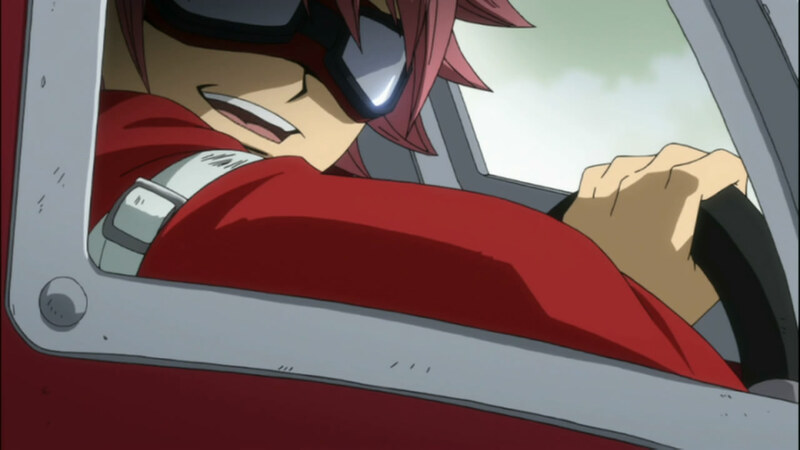 We get more deep into things with the 80th episode of Fairy tail, even if it is at a calm and slow pace. We are introduced to the entire cast of villains, and get to see more Alternate Fairy Tail goodness. The Edolas Arc proves yet again, that it was and is a stroke of genius, adding the right mix of old and new characters for a majorly intriguing premise. Most of the characters here were either cliche’s or just generally ripped off from other Anime. 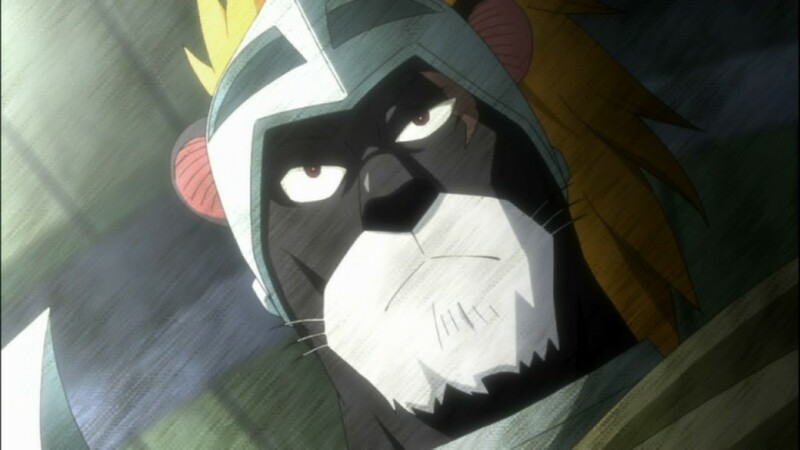 Panther Lily in particular, reminded me a lot of Komomura from Bleach, except that he was a bit more depressive if nothing else. Byro was the classic evil, short little schemer, Hughes was the super hyper and somewhat annoying dude, and Sugar Boy was your classic gay guy. Erza… was well Erza, except obviously on the more evil side of things. 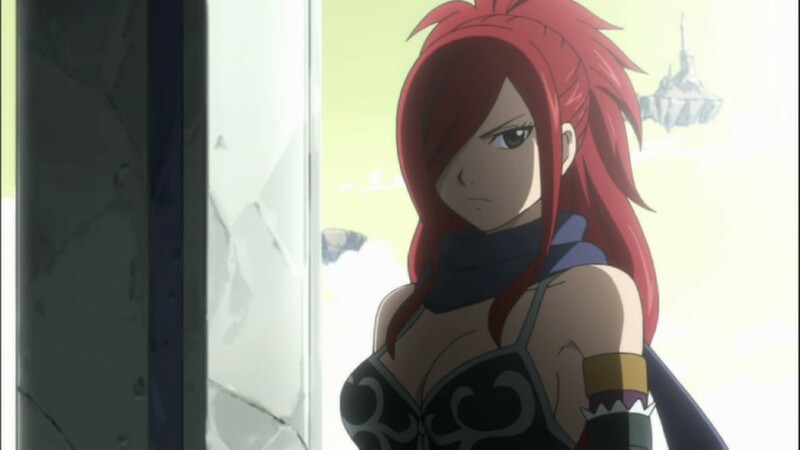 I’m not sure if Erza is inherrently evil in this world, or if she’s got the same problem that Erza of Eathland does, she just NEEDS to follow orders and submit to authority, regardless of whether its right or wrong. 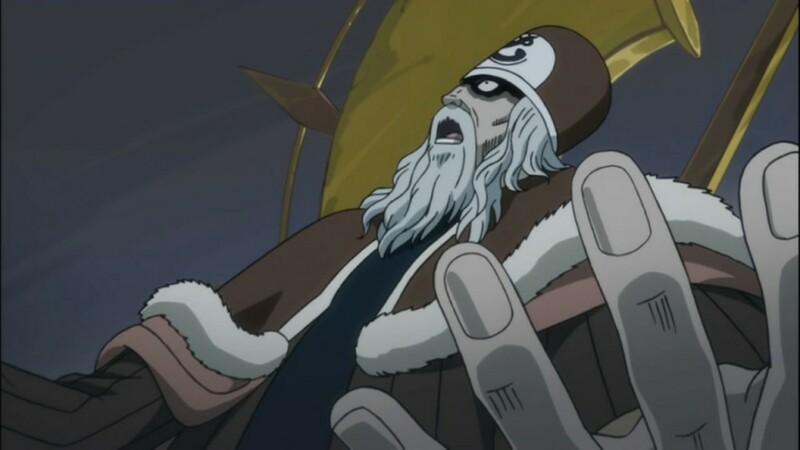 The one strong and somewhat intriguing character, was the king of Edolas, Faust. Faust is definitely you’re old, twisted and definitely insane old tyrant. I’m curious to know just how strong he is, but if at the moment, the guy just looks like a man with too much age and a huge unsatiable lust for power. 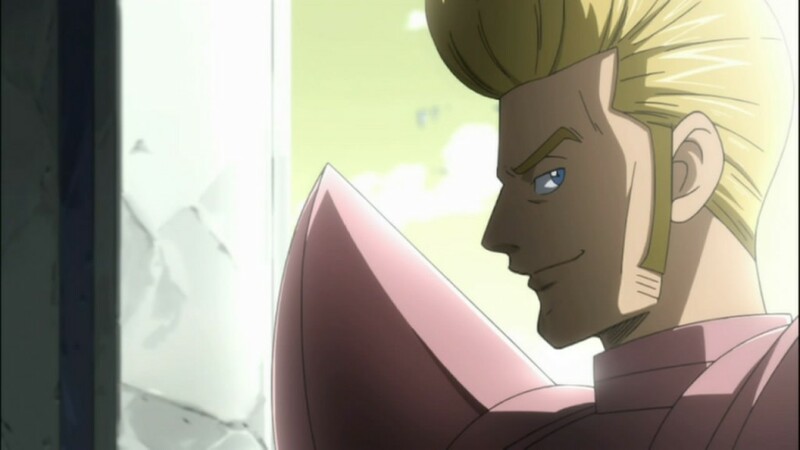 The other major cool thing was seeing two other members of Fairy Tail (Eathland version) make it through the whole Anima process and join our heroes. First, we got to see Gajeel. 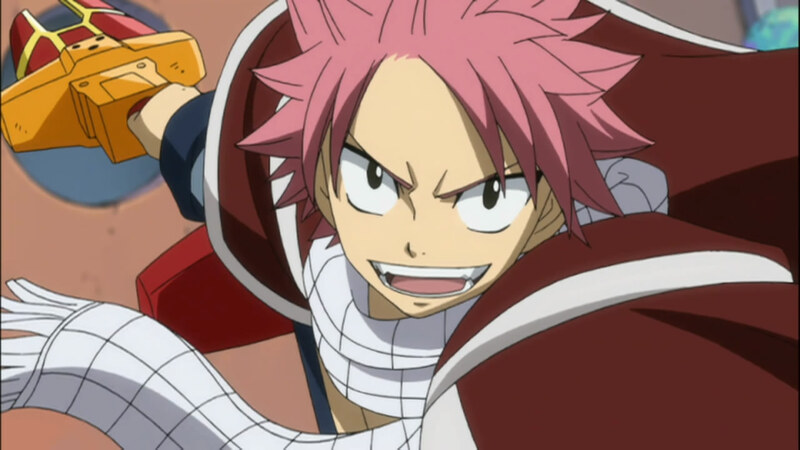 Its interesting to note that Natsu and Wendy are a lot more powerless than Gajeel. Gajeel being an Iron Dragonslayer, still has his extremely durable body to fight with. I was actually expecting Gajeel to get beat up real bad by the three jerks he ran into, but I’m definitely glad that he just beat them down. 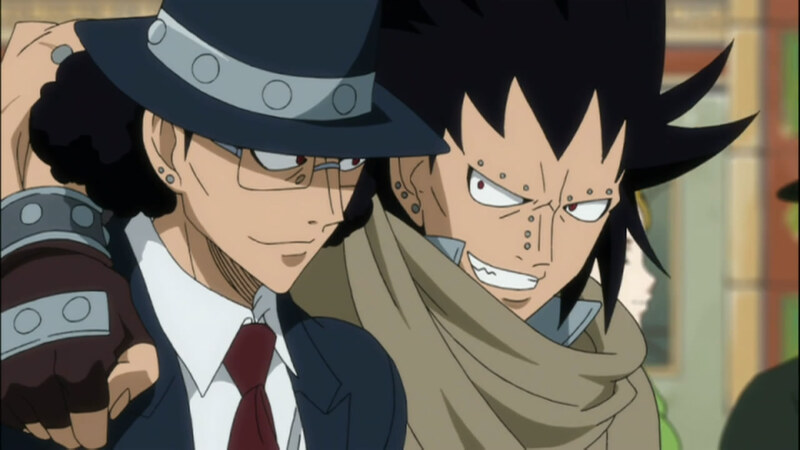 Gajeel just isn’t the sort of character you want to see be too darn weak. Its also a lot funnier to see that Edolas Lucy is borderline Tsundere XD I chuckled when she mentioned the whole: “Being pressured, I kinda might like it” thing. Just goes to show how different she is from the other Lucy. As if that weren’t enough, it was brought home by the fact that she laughed at hearing how the other Lucy was. 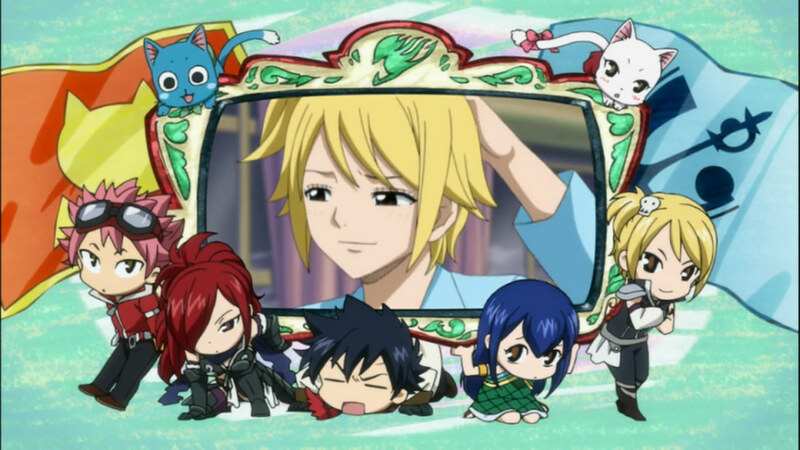 I think Edolas Lucy might actually be envious of Earthland Lucy, as I feel like she never got the luxury of being able to act more feminine and girl like like Earthland Lucy did. And of course, the episode ended on both Lucys running into each other. 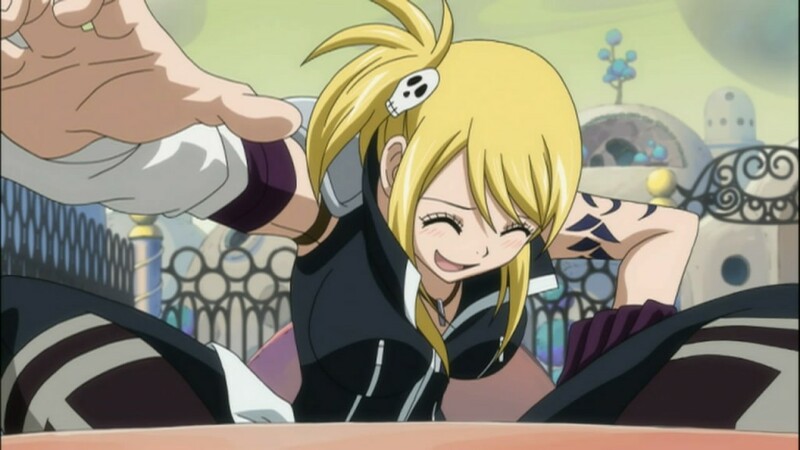 I find it hilarious how even Lucy has her Celestial magic going. It kind of makes sense given that Lucy actually uses objects to channel her magic, which is pretty similar to how magic works in Edolas. Oh! I almost forgot to mention. 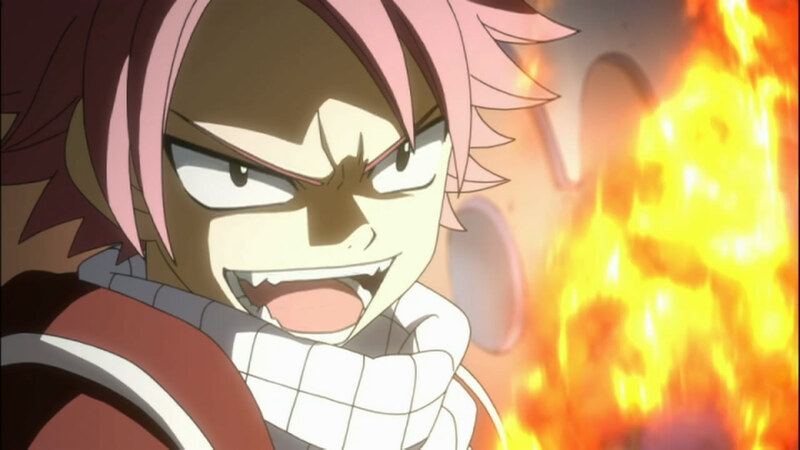 Natsu, with a fire sword? HELL YES! This is definitely a very very awesome idea. 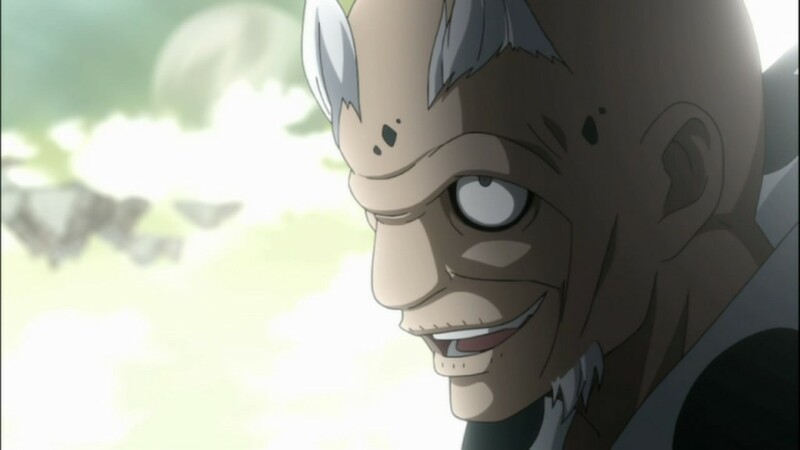 I think Edolas does a good job of making Natsu weaker than everyone else, and gives him a worthy obstacle to overcome before he can eventually challenge Faust and the Kingdom. All in all, great episode. I feel like this was another one of those “building up” to something epic episodes. I think its rather nice that Fairy Tail is willing to spend as much time as it is fleshing out the conflict and story before getting into the fights! 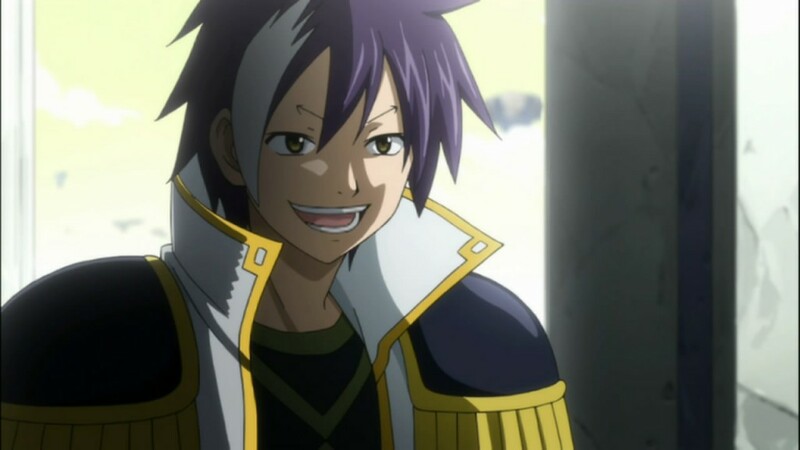 Gajeel and Lucy spend some quality time with their alternate selves, Natsu and Wendy Train to master their new weapons and Edolas Natsu finally makes an appearance!